Slow sales growth and rapid cost cutting helped Sainsbury's lift profits higher than expected in the first half of its financial year. Underlying profit before tax of £302m for the 28 weeks to 22 September was up 20.3% on the same period last year. Analysts had on average forecast profits of around £280m, according to Reuters. The key was £121m of cost savings as it looks to slash £200m of expenses from the group in the full year. Sainsbury's has so far extracted £160m of synergies from the acquisition of Argos, achieved nine months earlier than first indicated. Group like-for-like sales grew just 0.6%, though this was an improvement on the 0.2% in the first quarter. Grocery sales were up 1.2% in the half, thanks to an improvement from 0.5% to 2% in the two quarters, while the Argos general merchandise business increased sales 1.5% after a quarterly slip from 1.7% to 1.2%. Total retail sales, adding in the effect of new selling space, were up 1.2% to help lift group sales 3.5% to £16.88bn. 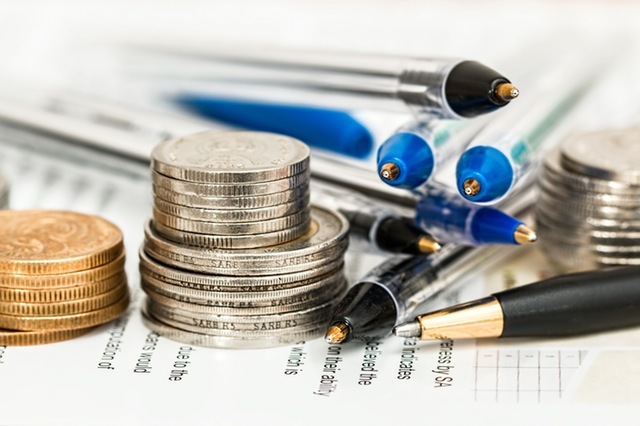 While underlying profits rose, reported profit before tax fell 40% to £132m due to charges relating to the Argos integration, restructuring and early "transaction costs" as the company crosses its fingers over the agreed Asda/Walmart merger. The £15bn deal between the UK’s second and third largest supermarket chain is being investigated by the Competition and Markets Authority, which is expected to publish its provisional findings early next year. "The market remains very competitive and we are transforming our business to meet rapidly changing customer needs," said chief executive Mike Coupe. He said Sainsbury's has "fundamentally changed how our 135,000 Sainsbury's store managers and colleagues work" this year, with a "leaner management structure" creating significant savings which are partly being reinvested into wages. But these changes are likely to also be why Sainsbury's has been having major issues with stock availability in its stores with angry customers venting on social media about empty shelves. Coupe instead highlighted that where investment had been made in lower prices, shopping volumes and transactions had increased. Like its rivals, the grocer was keen to brag about Sainsbury's vegan credentials, with products such as “shroom dogs” proving popular. Although the consumer outlook is uncertain and the "grocery, general merchandise and clothing markets continue to be highly competitive and very promotional" as the key festive trading period looms in the horizon, Coupe said the business was on track to meet analysts' consensus full year profit forecast of £634m. Sainsbury's shares started higher but after an hour of trading were in the red, down almost 1% at 316.1p. Neil Wilson, analyst at Markets.com, said sales growth may have picked up in the second quarter from the dismal first three months of the year but rival Morrisons enjoyed a very strong last couple of quarters "and the comparison is not particularly flattering". "Problems in grocery are a serious concern," Wilson said. "Standards have slipped. It's hard to see how merging with Walmart will help much on that front. Argos remains the success story. Cost synergies have been delivered nine months ahead of schedule." He added that the proposed Asda merger, is "purely defensive" and focused only on boosting margins. "Sainsbury's is the squeezed middle, losing market share to discounters and simultaneously losing out to more premium brands. The worry is it has no credible plan except this merger. Mike Coupe may be singing ‘we’re in the money’, but to borrow another Ginger Rogers movie song of the time, he should really be singing ‘I’m putting all my eggs in one basket’." Laith Khalaf at Hargreaves Lansdown was more positive, seeing Argos as "an ace up the sleeve" in a tough retail environment, feeling that it is a "'pretty canny move when you consider that many consumers will like the idea of combining their Christmas grocery shop with picking up some gifts from Argos at the same time". He also noted that grocery growth came from efforts to follow shopping trends and shift more sales online and via convenience stores, while sales from the bigger supermarkets fell by 0.5%. 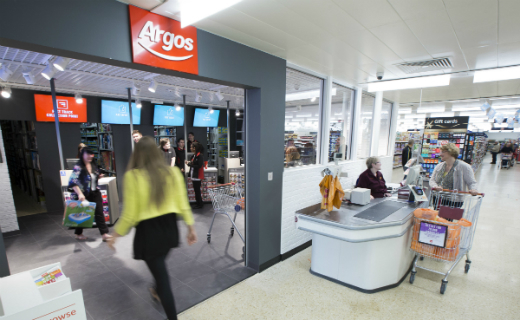 "Clearly the big game-changer for Sainsbury’s is the proposed merger with Asda, and the success of the Argos integration shows Mike Coupe and his team are able to spot M&A opportunities and execute them well. The prospect of rolling out further Argos outlets within Asda’s store network is a tantalising prospect, though the pressing question now is what hoops the competition regulator might ask the supermarkets to jump through, before they can tie the knot."